"Line Shacks, From Necessity to Inspiration,"
February 2017 issue. The vintage trailer trip event Morgan is participating in inspired the essay that editor Johnny Boggs requested, and is part of the 150th birthday celebration of Laura Ingalls Wilder. Morgan's article, "Loren D. Estleman: An Intimate Portrait," was voted by the WWA membership as best article in 2012, an honor that garners the Stirrup Award from Western Writers of America. 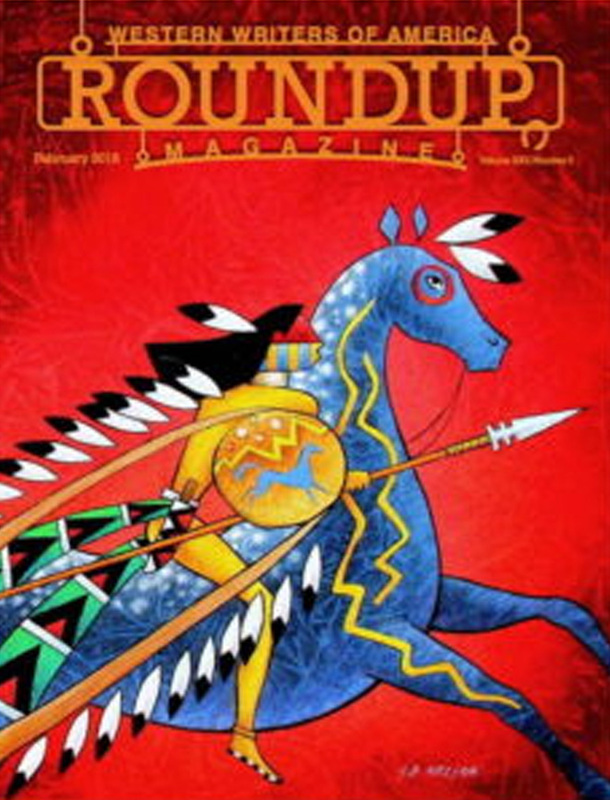 The article, published in Roundup Magazine, June 2012, was written on request from Roundup editor, Johnny D. Boggs, after Estleman was chosen as the organization's Wister Award recipient for lifetime achievement. &COPY; 2001-2018 Deborah Morgan. All rights reserved.